Why do you sometimes “forget to remember” things? One of the most common complaints I hear among my patients is that their memory isn’t as good as it should be. They “forget to remember” things that they never would have failed to recall in the past. In other cases, their memory is sharp until about two in the afternoon. Then brain fog kicks in. Their brain suddenly seems to “stop working”. This entry was posted in Memory Health and tagged are blueberries good for memory, best foods for my brain, best foods to prevent dementia, can curcumin boost my brain power, foods to improve my memory, foods to stop brain fog, is curry good for me, is dark chocolate good for my brain, turmeric and brain health, why do I forget names, why does my brain stop working in the afternoon on October 3, 2018 by wellness. Are antihistamines shrinking your brain? I don’t think I know a single person who has never taken an antihistamine. In fact, the use of these over-the-counter drugs is so commonplace that it’s easy to forget that they come with serious side effects. This entry was posted in Alzheimer's Disease, Brain Health, Memory Health and tagged anticholinergics and dementia, are antihistamines bad for me, does Benadryl shrink my brain, how to stop alzeimer’s and dementia, what causes the brain to shrink on June 29, 2016 by Taylor Donnini. If you want to get through life without developing dementia, the best thing you can do is feed your brain. You see, that old expression “you are what you eat” is especially true when it comes to your brain health. 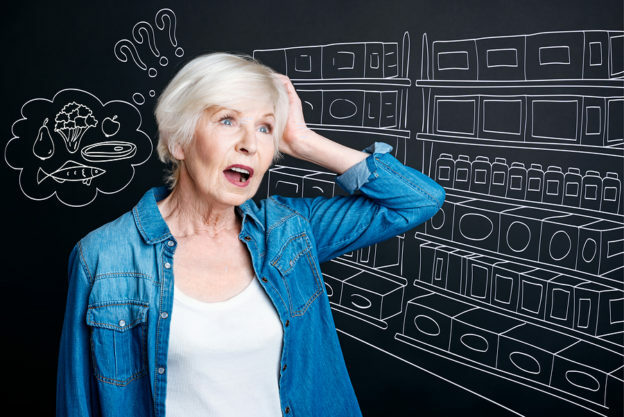 Eat the wrong foods – like ones that are high in sugar and salt – and you’re more likely to lose brain power as you age. They literally shrink your brain. This entry was posted in Brain Health, Memory Health and tagged benefits of Mediterranean diet, food for the brain, foods that cause Alzheimer’s, how to prevent dementia, how to stop amyloid build up, list of brain foods, Mediterranean diet and brain on May 13, 2016 by Taylor Donnini. 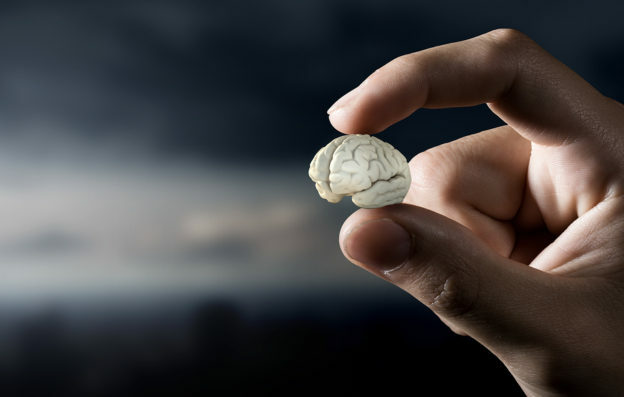 Mental abilities on the decline? This entry was posted in Memory Health and tagged brain plasticity, memory health, memory loss on July 3, 2015 by Advanced Natural Wellness. Are you just a telomere length away from dementia? There’s a way of thinking here in the U.S. that I find disturbing. Most people expect to grow old…not just age, but grow old. They expect to get sick and lose their mental faculties as they age. In their minds, once they reach 60, life will be an uphill battle all of the way. You might be one of these people. I’m here to tell you, it doesn’t have to be that way. It’s a defeatist attitude, and in most cases, it’s a lot of worry over nothing, since simple dietary and lifestyle changes can transform your life to a healthier more active one if you really want it. If you plan on living a long and healthy life – and if you treat your body like you expect to become a lively and vivacious senior citizen – you can keep both your health and your memory intact well into old age. In the last issue of Advanced Natural Medicine, I shared some tips to help you avoid Alzheimer’s disease. Many of them mirror the methods used in Dr. Bredesen’s MEND protocol for Alzheimer’s disease. You see, he and I have a lot in common. We have a very similar focus, with the same astounding results. A good part of the reason for this could well be because both of our protocols don’t just support brain health. They also support the length of your telomeres. Now I mentioned this before. The relation between telomeres and brain health is somewhat controversial. But there’s no denying that the same things that support longer telomeres are also associated with better cognitive function and a much lower risk of dementia and Alzheimer’s disease. Previously we talked about some very simple lifestyle changes that can improve your mental abilities and stave off dementia. 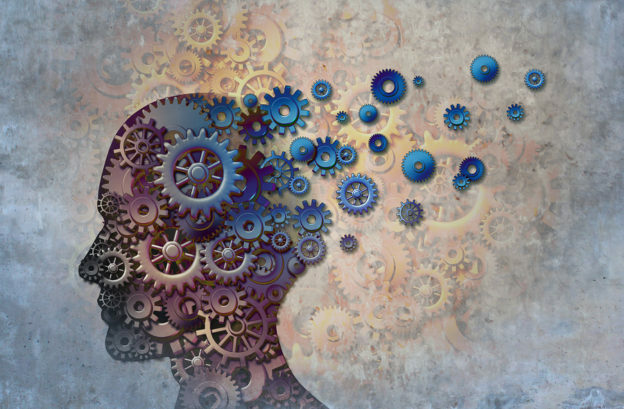 Today, I’d like to share a few supplements that can exponentially decrease your risk of mental decline, along with a final tip for top-notch brain health. Vitamin D deficiency is common here in the U.S. In fact, a whopping three out of four people here in the U.S. are running low on this nutrient. If your doctor measures it at any of the main labs, the reference range is 30-100 pg/nl. Now, your number may be 32, and the lifeguard at the beach could be 100. So how do you know where you should be positioned at? Well depending on what medical issues you are dealing with, your Vitamin D level should follow the need. If you have any autoimmune issues, I look for it to be close to 70-80 pg/nl as a sufficient number. Even if you’re only moderately deficient in vitamin D, it could increase your risk of dementia and Alzheimer’s by more than 50%. If you’re severely deficient, it can more than double your odds of these mind-robbing conditions. In addition to that, if you have insufficient levels of vitamin D, your telomeres could be five years older than they should be. However, deficiency of this nutrient is easy to remedy. Simply supplement with the most active form of vitamin D available. It’s called vitamin D3, also known as cholecalciferol, and it’s the one that will give you the most benefit. I suggest 2,000 IU daily, or up to 5,000 IU if you’ve been tested as deficient. Certain B vitamins can help reduce an inflammatory marker that’s a threat to your brain health. It’s called homocysteine. A high level of this amino acid is associated with a much greater chance you’ll end up with Alzheimer’s or dementia. It’s also linked to an increased risk of heart disease and stroke, which could leave you with vascular dementia. And I’m sure it won’t surprise you to learn that elevated levels of homocysteine are also linked to shortened telomeres. However, there is a pretty easy way to gain control of your homocysteine levels. Take these amounts daily to support both your mental faculties and the length of your telomeres. Resveratrol, an antioxidant found in grapes and wine, turns on the anti-aging gene SIRT1. This gene promotes clearance of alpha beta, which is a hallmark of Alzheimer’s disease. It also helps protect your neurons and regulates inflammation. At the same time, SIRT1 reduces telomere shortening and revs up your mitochondria. Both of these are critical when it comes to your brain health. You can amplify the results you get with resveratrol by combining it with its highly potent cousin, pterostilbene. It’s a whopping four times more bioavailable than resveratrol alone. I recommend at least 50 mg of resveratrol and 25 mg of pterostilbene each day. Omega-3 fatty acids are another winner. These fatty acids help reduce brain shrinkage, strengthen neurons, increase blood flow to the brain, protect against depression and reduce levels of beta amyloid. Omega-3’s also help prevent your telomeres from shortening – and can even make them longer. So they pack quite a punch to keep your brain and body firing on all cylinders. Look for a fish oil supplement that contains oil from fresh, wild-caught, deep sea fish. And make sure it’s been molecularly distilled and tested for purity (i.e., no mercury.) I recommend 4000 mg daily to protect your brain and lengthen your telomeres. Now I’m going to share one more tip and you just might find it to be the most fun out of the bunch. One of the most important aspects of your brain is that it’s constantly changing. New connections are made, while others may disappear. 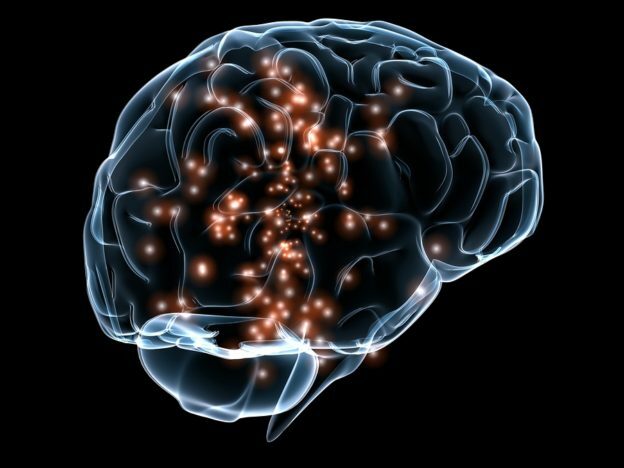 Brain volume might shrink in some areas and expand in others. Brain cells are constantly regenerating. It’s like a roadmap that changes every day. But once you stop putting those skills to use, the roadmap in your brain stops creating new pathways. It starts to wither away. But there is something you can do. Namely: Embrace a lifetime of learning. Now, some learning activities, like studying a new language, can even make your hippocampus grow larger. But, if learning another language doesn’t appeal to you, there are many other things you might want to know more about. Maybe you’ve always wanted to play a musical instrument, learn how to grow organic herbs or even take up writing. The key here is to actually take the time to do it. The tips I’ve shared with you could make the difference between living out your senior years in a nursing home, and enjoying the most memorable time of your life. So what do you say? Are you ready to go for it? I hope you are. This entry was posted in Brain Health, Memory Health, Vitamins and tagged anti-aging, telomeres, vitamin deficiency on April 17, 2015 by Taylor Donnini. Is mental instability in your future? … and make it FUN! This entry was posted in Memory Health and tagged brain-derived neurotrophic factor, memory health, memory loss on July 11, 2014 by Advanced Natural Wellness. This entry was posted in Brain Health, Memory Health and tagged brain-derived neurotrophic factor, memory health, memory loss on June 16, 2014 by Advanced Natural Wellness. Are “senior moments” plaguing your brain? This entry was posted in Memory Health and tagged antioxidant, memory health, memory loss on June 11, 2014 by Advanced Natural Wellness. Is Your Brain “Fat” Enough? Are these foods robbing your brainpower? This entry was posted in Brain Health, Memory Health and tagged antioxidant, memory loss, omega-3 on June 9, 2014 by Advanced Natural Wellness.